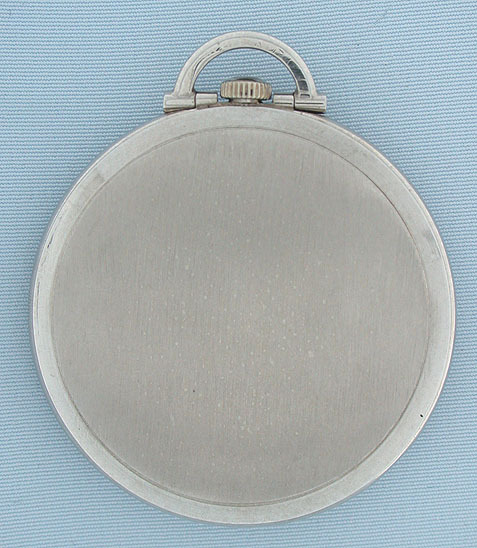 Fine platinum Waltham Art Deco slim antique dress pocket watch circa 1927. 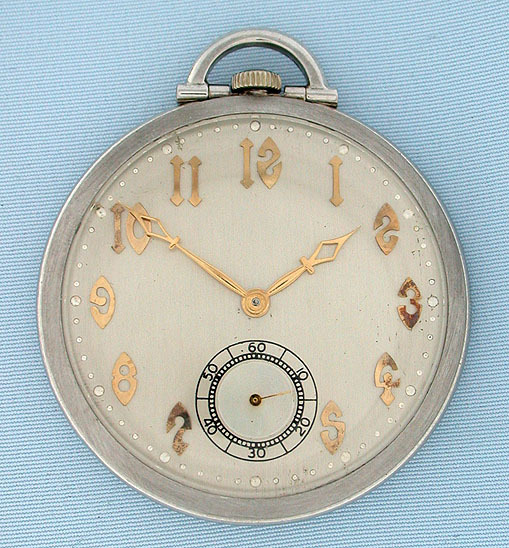 Silver dial with applied stylized gold numerals. (The circle on the background and the shadows on the numerals are reflections of the camera lens.) Slim case with brushed case. 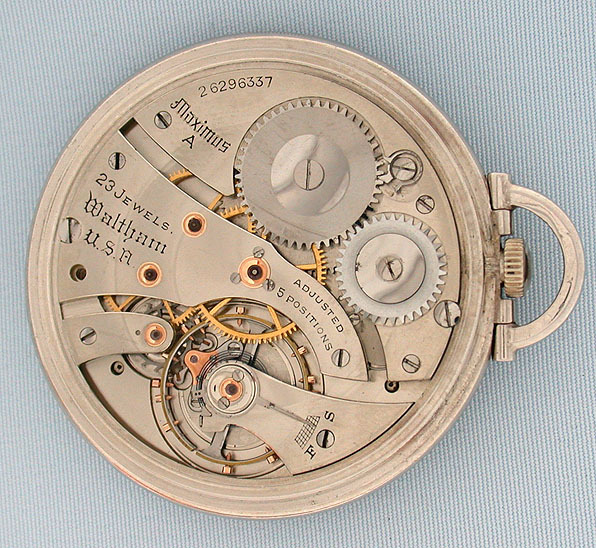 High grade 10/S 23 jewel adjusted Maximus movement with gold jewel settings. Elegant.